Dian has been coming to the Dominican Republic with her doctor parents for years. Now that she's thirteen, she had wanted to stay home in Canada, but instead she is helping her parents set up their clinic and looking forward to hanging out with her Dominican friend Aracely. When fourteen-year-old Aracely makes a shocking announcement—she is engaged to be married—Dian struggles to accept that Aracely has the right to choose her own destiny, even if it is very different from what Dian would choose for her. 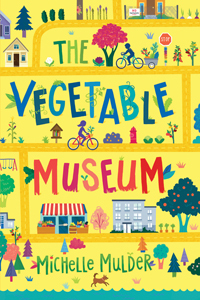 "Dian’s struggle with cultural differences makes for interesting reading...A quick read that may inspire some readers to reflect upon what Dian learns and apply it to their own lives." "Explores the contrasts between traditional island-culture mores and Western ideals...The story moves swiftly with animated writing and plenty of dialogue. Readers will empathize with Dian...[and] the Dominican characters are likewise complex...Cultural details and Spanish words are incorporated into the text. Complicated issues, including children’s rights, Western ethnocentrism, and racism, are all illuminated in this story of cross-cultural friendship and respect. 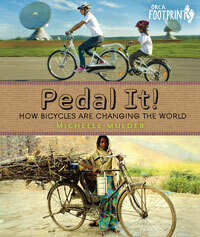 Readers will grow in understanding, along with Dian, who concludes, 'It’s about balancing the dancing with the doing.'" 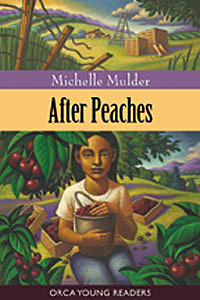 "There is an authenticity to Dian, caught in a web of moral dilemmas and attempting to navigate between the rigid cultural dictates of the village and the equally rigid viewpoints of her parents...Readers will empathize with Dian as she struggles to find her own voice and her own path towards social justice...Dian claims a different course than her parents and her actions may encourage readers to make change in the world themselves...Mulder has delivered a provocative book which will challenge young readers at home or in the classroom, giving vivid insight into complex cultural challenges we all must face in a global world." "Readers will be challenged to look beyond truths born of cultural conditioning, as both Dian and Aracely struggle to understand one another. The conflict between Dian and her parents is believable...Mulder demonstrates her knowledge of remote village life in her depictions of poverty, spirituality, and conformity...Because the issues are so contemporary, it is the perfect multicultural novel." "Mulder's provocative tale about a cultural clash avoids heavy didacticism with lively dialogue and carefully nuanced behavior for each of the believable characters. Readers will feel for Dian as she tries to establish her identity, engage her overbearingly politically correct parents, and begin a friendship with a Haitian boy that provokes a racist response from the community. It's a lot of growing up for one summer, but this engaging story intelligently takes on the matter of haves and have-nots." "A fine novel about clashing cultures. Dian's direct narration clearly establishes the complexity of life in Cucubano, and underlines the double-edged choices every character faces...'It would do us all good to quit trying to fix the world and actually enjoy it for once,' Dian tells her parents at one point. 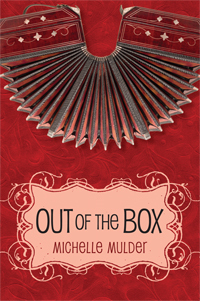 Mulder's thoughtful, engaging novel manages to do both." [Starred review] "Mulder's spare prose neither makes light of a delicate issue nor paints it with a broad brush. Quietly perceptive and provocative." "The Dominican village in which the novel is rooted is well realized, and the characters do not feel one-dimensional. Dian...is well characterized and relatable. 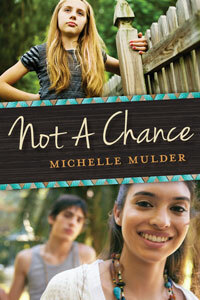 Not a Chance is a well-written and engaging novel."